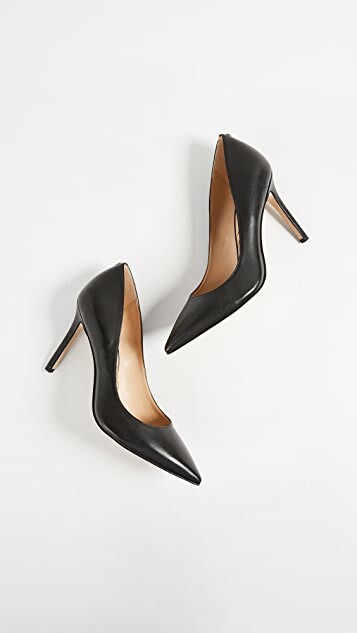 Classic leather Sam Edelman pumps in a refined, pointed-toe profile. Covered stiletto heel. Synthetic sole. 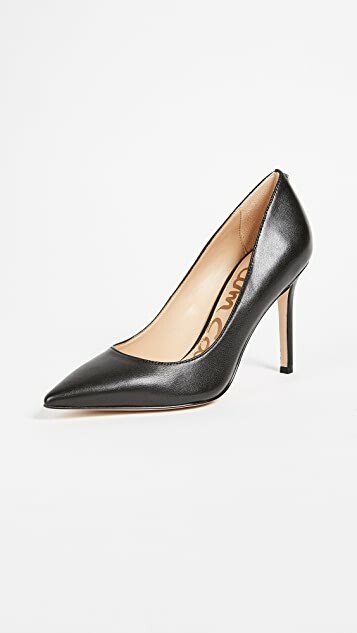 These pumps are extremely comfortable. 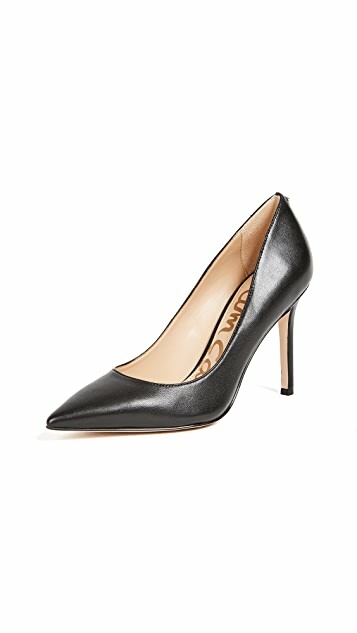 I have worn these on day trips to client meetings for 12-14 hours at a time without any pain, blisters, or issues. They are a godsend. 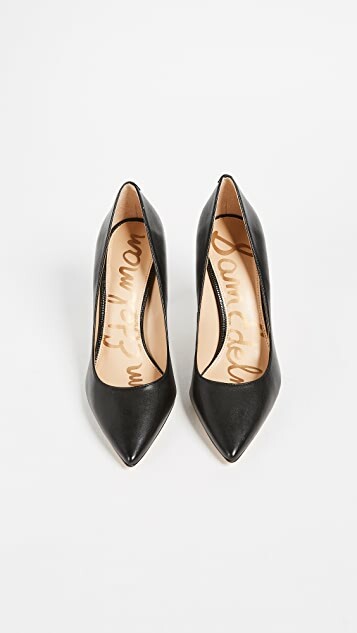 These are the perfect classic black pumps. 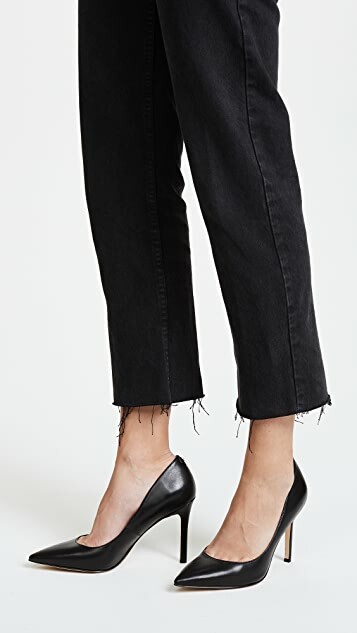 They're a good height and super comfortable. 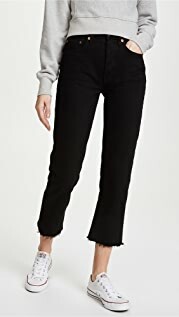 Great for both work and going out.